To be informed of the way The Carmelites intend to use your gift, and of its capacity to use gifts effectively for their intended purposes. That the Carmelites and our staff will actively and positively provide relevant information on the project or area you have supported, and the use of, and progress with, your gift. To be informed of the key personnel involved in managing your gift. That the behaviour of individuals representing The Carmelites will be professional in nature. Your details will be treated confidentially and not be shared with any organisation outside The Carmelites without your explicit permission. Our privacy statement explains how we manage your personal information. 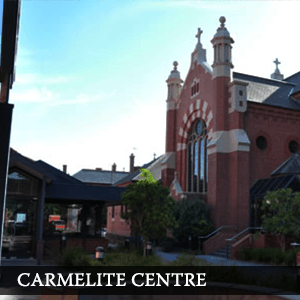 This Donor Privacy Statement explains how The Carmelite Fathers Inc (Vic) ABN 98 004 769 528 ('The Carmelites') manages personal information collected from donors and financial supporters. The Carmelites are committed to protecting your privacy and the personal information we collect. We are bound by the Privacy Act 1988 (Cth) (‘Privacy Act’) and required to handle your personal information in accordance with the Australian Privacy Principles. These principles govern how The Carmelites can collect, use, hold and disclose your personal information. The Carmelites are also bound by relevant state laws in Victoria, Queensland and New South Wales. Personal information is defined as any information which identifies an individual or information from which an individual’s identity can be reasonably ascertained. It includes information or an opinion, whether true or not, and whether recorded in a material form or not. Personal information can also include "sensitive information", which means information or an opinion about an individual's religious affiliation or beliefs, ethnic origin, membership of a political association or trade union, sexuality or criminal record. Health information is also sensitive information and its handling in Victoria is also regulated by the Health Records Act. 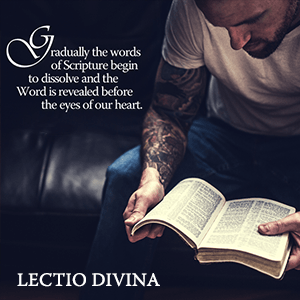 What kinds of personal information do The Carmelites collect and hold? photographs, videos and news stories in respect of The Carmelites related events and activities. How do The Carmelites collect personal information? The Carmelites collect personal information directly from individuals, in writing, by telephone, email and via our website. Some examples of collection points include donation forms, events, fundraising calls and from our parishes, schools and other affiliated organisations. 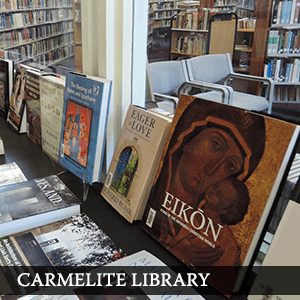 The Carmelites may also receive personal information from a variety of other sources, including publicly available sources, such as public registers. In addition to collecting personal information from you, sometimes The Carmelites collect personal information from a third part if it is unreasonable or impracticable to collect the information from you directly, for example where the information is provided to The Carmelites from parishes, schools and other affiliated Carmelite entities. The Carmelites do not share your personal information with any other organisation. You can request to deal with us anonymously, however this may not be possible as personal information is required in order for us to fulfil a number of services. For what purpose do The Carmelites collect, hold, and use personal information? and to comply with legislative or regulatory requirements. How do The Carmelites hold personal information? Personal information is held securely, either electronically or in hard copy files. The Carmelites take measures to ensure your personal information is accurate, up-to-date, complete and relevant, and is protected from unauthorised access, loss, misuse, disclosure or alteration. The Carmelites use a variety of physical, electronic and procedural security measures to protect the security of personal information held. The Carmelites regularly monitor and review our compliance with internal policies and industry best practice. All reasonable care is taken to archive, destroy or de-identify your personal information in a timely manner when it is no longer required for the purpose for which it was collected. Who do The Carmelites disclose your personal information to, and why? The Carmelites are otherwise permitted to disclose the information under the Privacy Act. Do The Carmelites disclose information overseas? Do The Carmelites use or disclose personal information for marketing? The Carmelites do use personal information for direct marketing about our events and initiatives. The Carmelites’ website may record non-identifiable information about an individual for statistical reporting, administration and maintenance purposes. This information is often called a 'cookie'. Cookies are small pieces of information stored on your hard drive or memory. They can record information about your visit to the site, allowing it to remember you the next time you visit and provide a more meaningful experience. The Carmelites cannot ensure or warrant the security of any information sent to us or received online or via email. The Carmelites take all reasonable steps to protect personal information once it has been received. The Carmelites take all reasonable steps to ensure that personal information held is accurate and as up-to-date as is possible. You can request access to your personal information and can ask for corrections to be made if you believe the information held is inaccurate, incomplete or out-of-date. Before The Carmelites provide access to personal information you will be required to provide proof of identity. The Carmelites will respond to all requests for access within a reasonable period and usually within 30 days. The Carmelites will generally provide access unless an exception in the Privacy Act or the Health Records Act applies. There are some circumstances in which The Carmelites are not required to give you access to your personal information, including where giving access would have an unreasonable impact on the privacy of other individuals, or access would pose a serious threat to the life, health or safety of any individual, or to public health or safety. If The Carmelites refuse your request for access, we will provide you with a reason for this in writing and how to complain if you are not satisfied with the decision, except where it is unreasonable to do so. In these circumstances, you have the right to request that a statement be associated with your personal information noting that you disagree with its accuracy. If you have any questions or are concerned about how personal information is being handled or have a complaint about a breach by us of the Australian Privacy Principles, please contact the Fundraising Development team. This Privacy Statement was last updated in July 2018. The Carmelites may change the way it handles personal information from time to time. In these instances our Privacy Statement will be amended and the updated version will be uploaded to www.carmelites.org.au.